8. What should the initial velocity be if you want a stone to reach a height of 100 ft when you throw it straight up? 12. Find the domain of the particular solution to the differential equation in Question 11 that passes through point (−2, 1). 20. What is the domain of the particular solution in Question 19? The slope fields below are for Questions 25–30. 25. 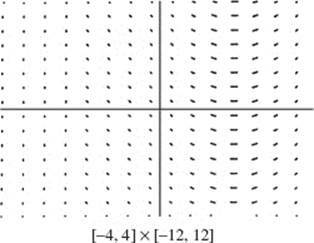 Which slope field is for the differential equation y ′ = y ? 27. 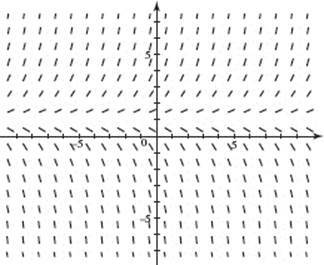 Which slope field is for the differential equation y ′ = sin x ? 28. 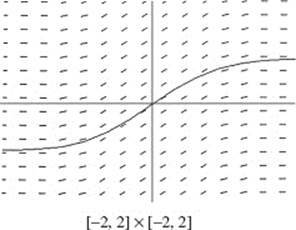 Which slope field is for the differential equation y ′ = 2x ? 29. 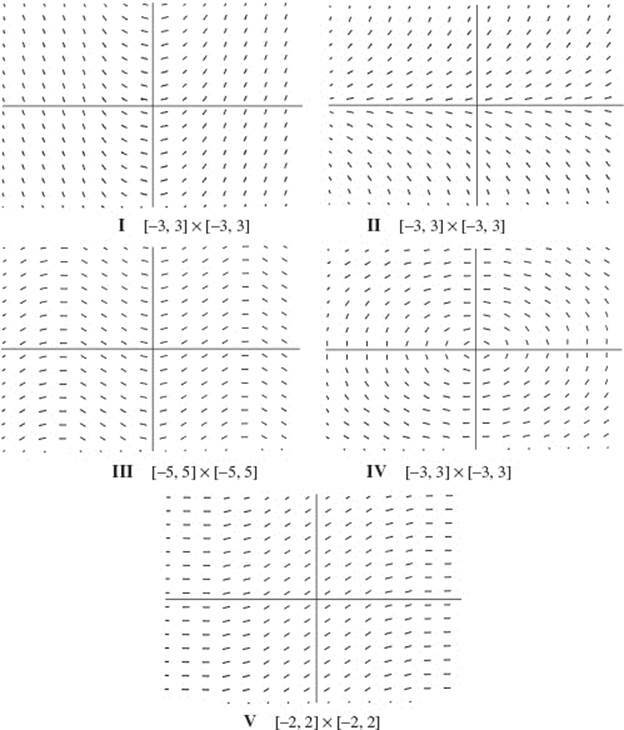 Which slope field is for the differential equation y ′ = e−x2? 33. 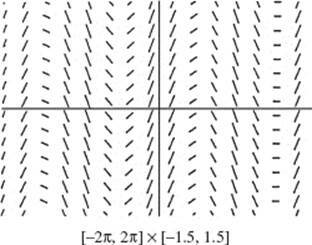 Which differential equation has the slope field shown below? 34. 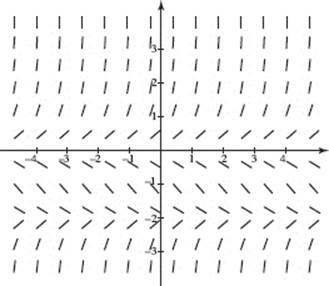 Which function is a possible solution of the slope field shown? 43. 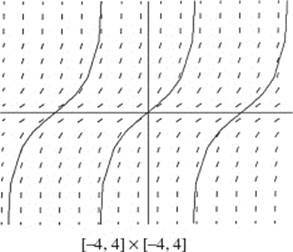 The graph displays logistic growth for a frog population F. Which differential equation could be the appropriate model? 44. The table shows selected values of the derivative for a differentiable function f.
Given that f (3) = 100, use Euler’s method with a step size of 2 to estimate f (7). 46. Approximately how long does it take the temperature of the coffee in Question 45 to drop to 75°F? 47. The concentration of a medication injected into the bloodstream drops at a rate proportional to the existing concentration. If the factor of proportionality is 30% per hour, in how many hours will the concentration be one-tenth of the initial concentration? 48. 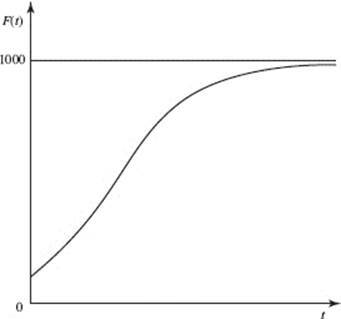 Which of the following statements characterize(s) the logistic growth of a population whose limiting value is L ? I. The rate of growth increases at first. III. The growth rate approaches 0 as the population approaches L.
49. Which of the following d.e.’s is not logistic?